Nine hundred and forty marbles. 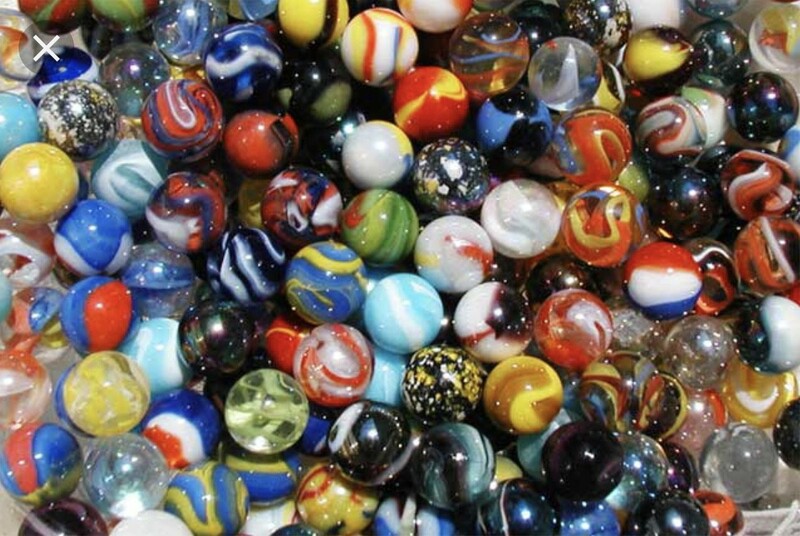 On the day your child is born, if you fill a jar with 940 marbles, you’d have in your hands the number of weeks between that child’s birth and his 18th birthday. That’s a hefty jar, maybe too heavy to hold with only one hand. All shiny and colorful, they clink against each other when you give the jar a shake. Deceptively small, they represent potential, time, milestones, birthdays. By her fifth birthday, 260 of them are gone, spent over weeks that pass in a blur of diapers, feedings, Goodnight Moon, and The Very Hungry Caterpillar. Marbles disappeared from the jar in a haze of sleepless nights, the whir of the humidifier too soft to cover the sound of a croupy cough, frosty Christmas mornings, visits to grandparents, and post-nap cuddles in front of Dora the Explorer. By 10, over half are missing from the once full jar. Hold it up to the light with one hand, and recall the ER visit for the broken arm, the sports equipment scattered in the foyer, and the too-big teeth in a rakish smile as he grins proudly, having scaled a tree to free a frisbee lodged between the branches. It’s not useful to pile guilt on a young mom, telling her to savor the moments, how she’ll miss all this some day. I believe in intentional parenting, but trying to live each second that way will drive you mad and eliminate all the best moments. Some good lessons come from spontaneity and stumbling your way through. To be honest, there are many bygone moments I don’t miss in the least. Sometimes, most times, the jar is easy to dismiss. The noise of friends, flurry of school projects, and need to check the calendar constantly are more urgent matters than the number of little spheres in the jar on the desk. It’s a challenge to organize life with a teen, and siblings add to the chaos. There’s a loud chorus of voices and laughter as they raid the refrigerator, bang out tunes on the piano, and toss car keys on the counter as they come and go. By 16, only 108 marbles rattle around in the base of the jar. There are moments, sometimes whole series of them, where with gritted teeth I silently wished a few of the marbles gone, so great is the emotional toll of teenagers wrestling with independence. If they’d had a say, they might have tipped the jar themselves, willing the time to pass quickly, hungering for some imagined life of total freedom and self-sufficiency. Mostly, as we hurtled through 17 towards 18, a sense of urgency gripped me. As their schedules became their own and we saw them less, I craved their feet on the coffee table, tousled bed heads at breakfast — or lunch. My eyes memorized their features as they did long ago when we rocked in the twilight singing “Baby Mine,” that song from Dumbo that the mama elephant croons. A remake is coming out in a few months, and we saw a preview in the theater recently. “Why are you crying?” my son asked through a mouthful of popcorn. “Don’t you remember this song?” I say. Stricken, I exchange glances with his dad, as he shakes his head. Some memories will belong only to me, made too early, before he started storing his own. “Mom. What?” In the final weeks of their last summer, they would catch me staring and I’d look away, unable to explain, avoiding their impatience. How could they fathom the pride I felt, my wonder at their confidence, humor, and the fact that no matter how much stubble grew on his face or how smart she looked in a fitted jacket, I would always see them at 3, 8 and 16, their younger faces wavering in and out like holographic images? A curious emotional cauldron bubbled within, a witch’s brew of joy and excitement for their futures, and a deep and marrow-filling sorrow at their departure. How did we arrive here? The supply seemed endless. Graduation parties, one last family vacation, and, this past week, a final pat on the dog’s head before climbing into the car destined for a new address, a new bed. 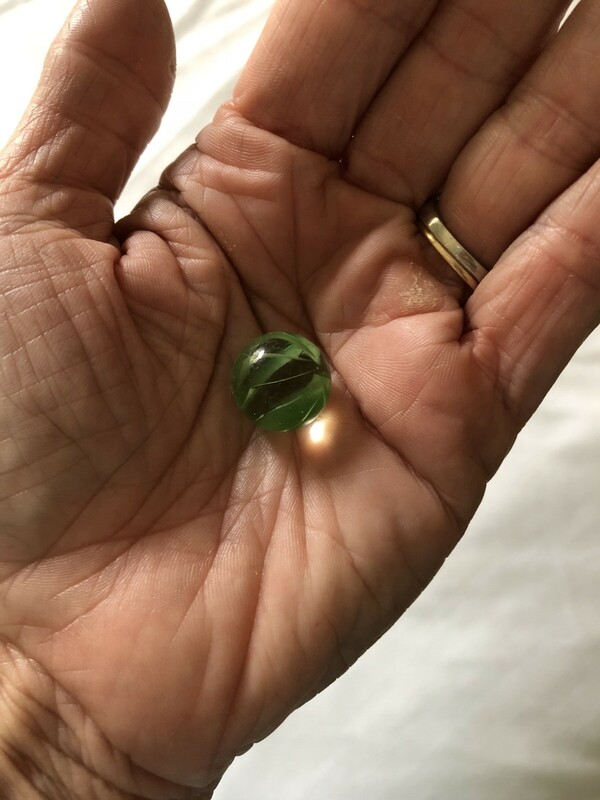 I palm the last marble from the jar and grip it tightly. So many times when they were toddlers and teens I thought I might go nuts in the chaos and, as they say, lose my marbles. Last week, it turns out, I did just that. Bye, Buddy. Do good things. I’m not crying. My heart’s just overflowing into my eyes a little bit.